Why it was just yesterday when we told you that Apple's Beats unit released its AirPods competitor, the Powerbeats Pro. Both wireless Bluetooth earphones have different target markets. The better sound quality of the Powerbeats Pro makes it a better choice for audiophiles than the AirPods. 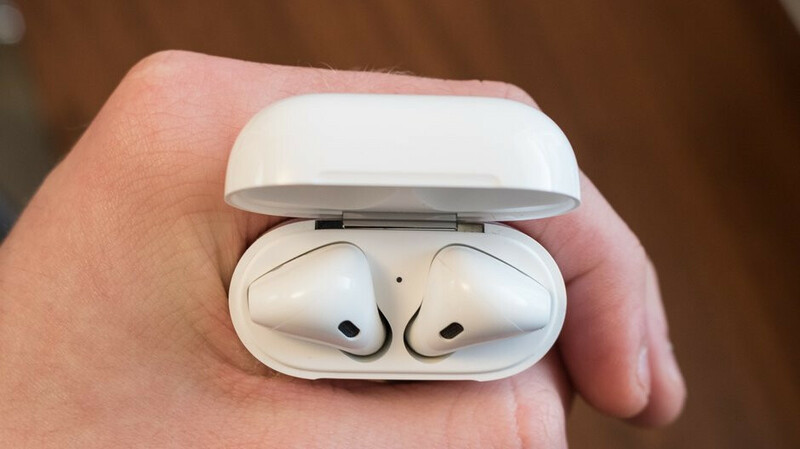 In addition, it features 9 hours of battery life, 40% more than the five hours offered by the AirPods. And the design of the Beats' entry makes it more likely to stay in your ears than AirPods. Apple has been raking in the dough with its AirPods and faces competition from other companies' in-ear wearables like the recently launched Samsung Galaxy Buds. And now it appears that Amazon has decided that it wants in, too. Bloomberg reported today that Amazon will launch its own wireless Bluetooth ear buds, possibly during the second half of this year. While Amazon's product will look similar to Apple's AirPods, sources inside the company say that it is working hard to top the audio quality of Apple's accessory. Ear buds are the fastest growing wearables category and a total of 12.5 million units were sold during the fourth quarter of 2018. Apple's AirPods own 60% of the market. By 2022, researcher Gartner sees in-ear devices overtaking smartwatches to become the leading device in the wearables market with 158.43 million units shipped. One reason why Amazon is interested in releasing its own wireless Bluetooth ear buds is to increase the number of devices that support Alexa. Amazon's virtual assistant is considered one of the top two digital helpers, and can reportedly be activated on the ear buds simply by calling out, "Alexa." This will allow those wearing the accessory to order products or get the latest news, weather, stock prices, and sports scores while working out, running, or just walking around the town. Those in the know about the product say that users will be able to tap on the buds in order to take and end calls, and navigate through streaming music. Amazon's ear buds will need to pair with an iOS or Android phone, and will charge in its carrying case using a USB cable. Sources cited by Bloomberg say that the accessory has been tested in Black and Gray, and is expected to be priced below the current $159-$199 range for Apple's AirPods. Alexabuds? Firepods? Echodots? Kindlebeats? Wonder what they will be called? Sound better and cost less - I mean aren’t there many such devices already out in the market. So what exactly is Amazon going to improve on? Airpods biggest advantage is for users who are completely in the Apple ecosystem and need seemless connectivity. I dont think how someone else can compete with this level of connectivity. No there are not any, virtually all wireless earphones are bullet in ear canal design, which I personally hate. I understand. But have you tried Bose Soundfree? Bose has 2 types of wireless earphones I think and they fit amazing for people who want an alternative. And they sound excellent as well. Please have the same ear design I hate in ear canal design. So they will undercut Apple and Samsung just to sell units. My guess is that they will sell them around $109 -$119. everything sounds better than airpods. It will fail simply for the fact that it’s not an Apple device. People love to flaunt their new Apple gear to promote a premium image. Amazon gear doesn’t have that same effect.